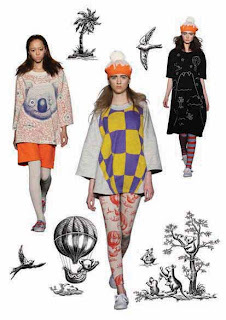 I have made postcards to promote migh-T autumn winter collection. I like the gloss effect on this postcard. No letters on the front. Just like collecting museum postcards, you can collect migh-T postcards every season! They can be picked up from the stockists soon. 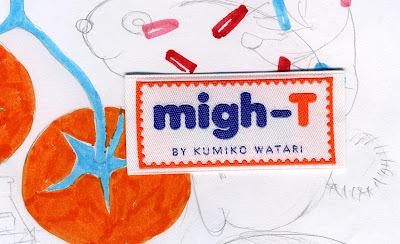 migh-T 's new labels have arrived from Japan. Each item will have this new label from the autumn winter collection. I used to collect postage stamps from various countries when I was about 10. I like the moment when I put stamps before I send letters, so I created this label like a stamp! The clothes will be delivered to my customers with these stamps on!